This post is a bit late, but better late than never right? 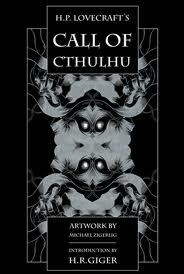 Horror is one of my most read and favourite subjects so I have read a few titles in this list, but by no means have my tastes influenced what I have put into it. With every list I go hunting around the net to see what is mentioned the most by other readers. In no particular order, here’s a selection of 15 highly recommended, most popular, or expected (expected to have read) reads in Horror fiction. Just in time for a Halloween read! Jack Torrance, his wife Wendy, and their young son Danny move into the Overlook Hotel, where Jack has been hired as the winter caretaker. Cut off from civilisation for months, Jack hopes to battle alcoholism and uncontrolled rage while writing a play. 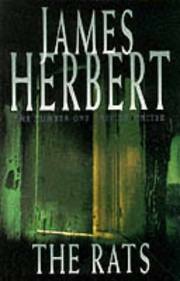 Evil forces residing in the Overlook – which has a long and violent history – covet young Danny for his precognitive powers and exploit Jack’s weaknesses to try to claim the boy. 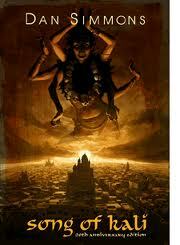 Calcutta, a monstrous city of immense slums, disease and misery, is clasped in the foetid embrace of an ancient cult. At its decaying core is the Goddess Kali: the dark mother of pain, four-armed and eternal, her song the sound of death and destruction. Robert Luczak has been hired by a New York magazine to find a noted Indian poet who has reappeared, under strange circumstances, years after he was thought dead. But nothing is simple in Calcutta, and before long Luczak’s routine assignment turns into a nightmare …it is rumoured that the poet has been brought back to life, in a bloody and grisly ceremony of human sacrifice. When Jonathan Harker visits Transylvania to help Count Dracula with the purchase of a London house, he makes horrifying discoveries about his client and his castle. Soon afterwards, a number of disturbing incidents unfold in England: an unmanned ship is wrecked at Whitby; strange puncture marks appear on a young woman’s neck; and the inmate of a lunatic asylum raves about the imminent arrival of his ‘Master’. In a quiet house on a quiet street Frank and Julia are having an affair. Not your ordinary affair. For Frank it began with his own insatiable sexual appetite, a mysterious lacquered box- and then an unhinged voyage through a netherworld of imaginable pleasures and unimaginable horror. Now Frank- or what is left of Frank -waits in an empty room. All he wants is to live as he was before. All Julia can do is bring him her unfulfilled passions and a little flesh and blood. Robert Neville is the last living man on Earth, but he is not alone. 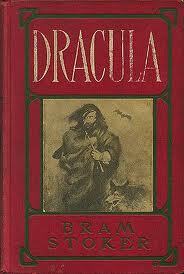 Every other man, woman and child on the planet has become a vampire, and they are hungry for Neville’s blood. By day he is the hunter, stalking the undead through the ruins of civilisation. By night, he barricades himself in his home and prays for the dawn. How long can one man survive like this? What if you were a happily married young woman, living in New York, and one day you awoke to find yourself pregnant? And what if your loving husband had, apparently, sold your soul to Satan? And now you were beginning to believe that your unborn child was, in reality, the son of Satan? It began shortly after the party at which one of their members, Edward Wanderley, had died or was killed. The Chowder Society, who for years had met in customary evening dress with the object of telling each other tales of every kind, now found themselves drawn towards the supernatural. It was some sort of solace for Edwards loss. They began to tell ghost stories, extraordinary ghost stories, ghost stories that did not always stop when the teller finished speaking.Then came the dreams, shared simultaneously by the Chowder Society members, forecasting horrors the four ageing men can scarcely bring themselves to discuss. And now they are about to learn what happens to those who believe they can bury the past and get away with murder. Four seekers have arrived at the rambling old pile known as Hill House: Dr. Montague, an occult scholar looking for solid evidence of psychic phenomena; Theodora, his lovely and light-hearted assistant; Luke, the adventurous future inheritor of the estate; and Eleanor, a friendless, fragile young woman with a dark past. As they begin to cope with chilling, even horrifying occurrences beyond their control or understanding, they cannot possibly know what lies ahead. For Hill House is gathering its powers – and soon it will choose one of them to make its own. The narrator is a young governess, sent off to a country house to take charge of two orphaned children. She finds a pleasant house and a comfortable housekeeper, while the children are beautiful and charming. But she soon begins to feel the presence of intense evil. It was only when the bones of the first devoured victims were discovered that the true nature and power of these swarming black creatures with their razor sharp teeth and the taste for human blood began to be realised by a panic-stricken city. For millions of years man and rats had been natural enemies. But now for the first time – suddenly, shockingly, horribly – the balance of power had shifted. It’s the week before Hallowe’en, and Cooger and Dark’s Pandemonium Shadow Show has come to Green Town, Illinois. The siren song of the calliope entices all with promises of youth regained and dreams fulfilled. And as two boys trembling on the brink of manhood set out to explore the mysteries of the dark carnival’s smoke, mazes and mirrors, they will also discover the true price of innermost wishes. Everyone has a dark side. Dr Jekyll has discovered the ultimate drug. A chemical that can turn him into something else. 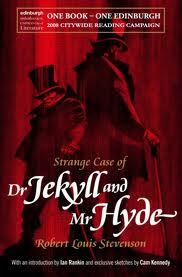 Suddenly, he can unleash his deepest cruelties in the guise of the sinister Hyde. 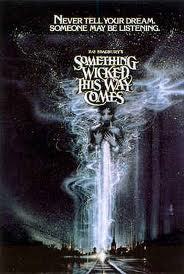 Transforming himself at will, he roams the streets of fog-bound London as his monstrous alter-ego. It seems he is master of his fate. It seems he is in complete control. But soon he will discover that his double life comes at a hideous price. 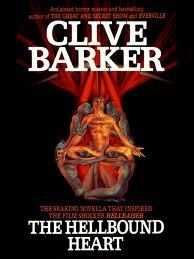 The Hellbound Heart inspired the movie Hellraiser. 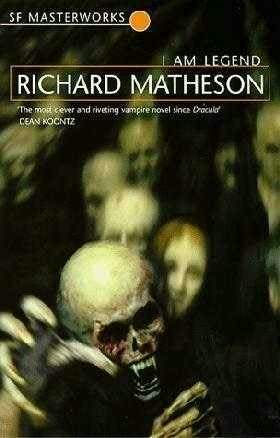 I Am Legend has been adapted into three films – The Last Man on Earth (1964), The Omega Man (1971), and I Am Legend (2007) – none of which are true to the novel, but Matheson helped on the screen play for the first. 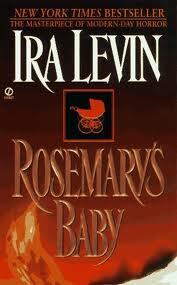 Rosemary’s Baby is supposedly inspired by Anton LaVey’s Church of Satan and the publicity it incurred. The Amityville Horror is based on the supposed hauntings created from The Amityville Murders. The Haunting of Hill House has been adapted into two films, both with the title The Haunting. You have so many of my favorites on the list I just had to say something. 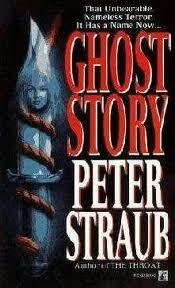 Ghost Story was one of the first books of which I spoke aloud to the characters. 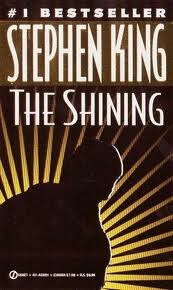 The Shining book is better than the the movie and the movie is pretty good. Utterson from Jekyll and Hyde is one of my favorite characters of all time. The ambiguity of The Turn of the Screw mirrors my real life. 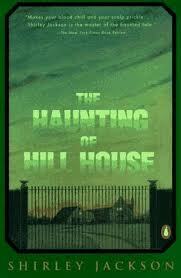 I’ve read about half of The Haunting of Hill House and I love it.. I’m too scared to read the rest of the list. Great list – I’ve read about half of those, and will make a point to read the rest! Great list, I mark all the books down except for The Shining because I have already read it. 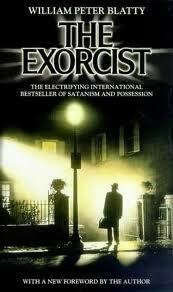 There is also a tele-movie adaptation of it, have you seen that one? I haven’t, I’ve seen the one with Jack Nicholson. I love that version, but I know it’s not true to the story. I hear the tele-movie is a closer adaptation. I think it was filmed in the late 90’s. 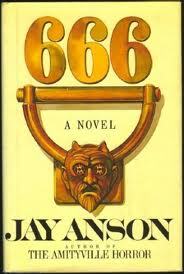 This is a great list, I’ve yet to read ‘The Haunting of Hill House’ , but the 1963 movie was outstanding. Also, ‘The Turn of the Screw’ was filmed as ‘The Innocents’ in 1961 (starring Deborah Kerr and screenplay by Truman Capote). Thanks for sharing the info too. 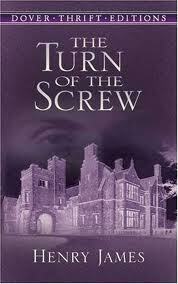 I might have to go check out The Innocents after I read The Turn of the Screw. Cheers for stopping by, I’ll be checking out your post as soon as I get a chance. I haven’t seen that adaptation of I Am Legend yet, have you seen all of them? Would you recommend watching the Vincent Price one? Ha, don’t worry I haven’t read Jekyll and Hyde either! There’s so many books to read, it’s hard to get to them all sometimes.